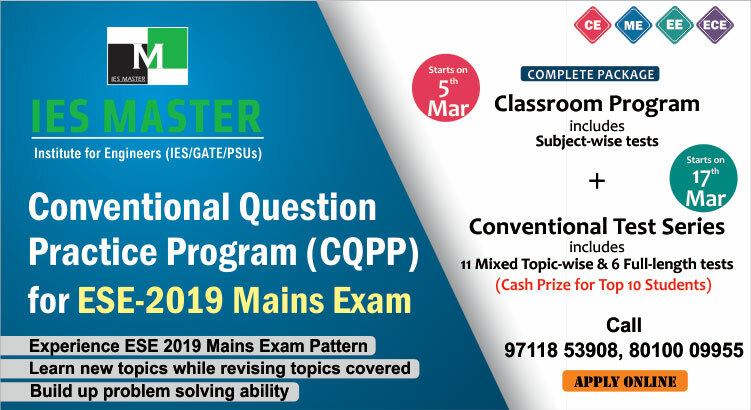 Madhya Pradesh Road Development Corporation Ltd. (MPRDC) is hiring engineers from Civil stream as Manager (Technical) on the basis of GATE 2018 score. Besides valid GATE 2018 score, the applicant should hold a B.E. /B.Tech. degree in Civil Engineering from AICTE approved institute with minimum 60% for UR/OBC, and 50% for SC/ST. The maximum age limit for this post is 25 years as on 01 January, 2018. 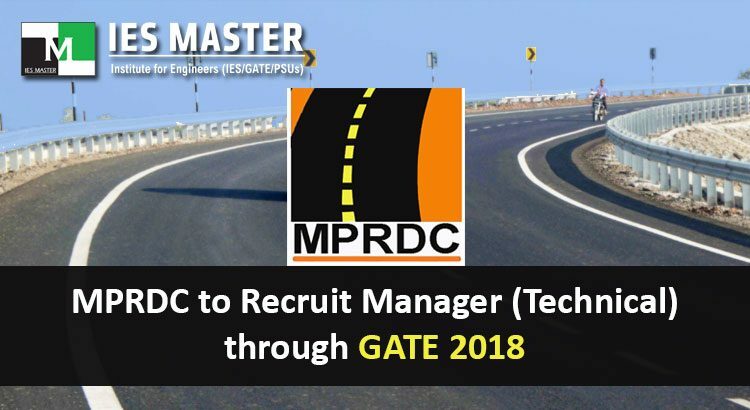 A total of 8 vacancies would be filled by MPRDC through this GATE 2018 recruitment drive. The job location would be anywhere in Madhya Pradesh. The final list of qualified candidates will be prepared on the basis of GATE 2018 score. The last date to apply online for this post through the official website of MPRDC is 25 September 2018. Further details regarding experience, fee, age limit, process of applying, and other details too can be checked at the official MPRDC website. As per the official MPRDC notification, the selected candidates will be entitled for a pay scale of Rs. 56,100 – 1,77,500 (as per 7th Pay Commission).